1 2 The beginning of the gospel of Jesus Christ (the Son of God). As it is written in Isaiah the prophet: 3 “Behold, I am sending my messenger ahead of you; he will prepare your way. John was clothed in camel’s hair, with a leather belt around his waist. 4 He fed on locusts and wild honey. And this is what he proclaimed: “One mightier than I is coming after me. I am not worthy to stoop and loosen the thongs of his sandals. It happened in those days that Jesus came from Nazareth of Galilee and was baptized in the Jordan by John. and he remained in the desert for forty days, tempted by Satan. He was among wild beasts, and the angels ministered to him. 9 As he passed by the Sea of Galilee, he saw Simon and his brother Andrew casting their nets into the sea; they were fishermen. Then he called them. So they left their father Zebedee in the boat along with the hired men and followed him. 10 Then they came to Capernaum, and on the sabbath he entered the synagogue and taught. Simon’s mother-in-law lay sick with a fever. They immediately told him about her. He approached, grasped her hand, and helped her up. Then the fever left her and she waited on them. He cured many who were sick with various diseases, and he drove out many demons, not permitting them to speak because they knew him. So he went into their synagogues, preaching and driving out demons throughout the whole of Galilee. 1 [1-13] The prologue of the Gospel according to Mark begins with the title (⇒ Mark 1:1) followed by three events preparatory to Jesus’ preaching: (1) the appearance in the Judean wilderness of John, baptizer, preacher of repentance, and precursor of Jesus (⇒ Mark 1:2-8); (2) the baptism of Jesus, at which a voice from heaven acknowledges Jesus to be God’s Son, and the holy Spirit descends on him (⇒ Mark 1:9-11); (3) the temptation of Jesus by Satan (⇒ Mark 1:12-13). 2  The gospel of Jesus Christ [the Son of God]: the “good news” of salvation in and through Jesus, crucified and risen, acknowledged by the Christian community as Messiah (⇒ Mark 8:29; ⇒ 14:61-62) and Son of God (⇒ Mark 1:11; ⇒ 9:7; ⇒ 15:39), although some important manuscripts here omit the Son of God. 3 [2-3] Although Mark attributes the prophecy to Isaiah, the text is a combination of ⇒ Malachi 3:1; ⇒ Isaiah 40:3; ⇒ Exodus 23:20; cf ⇒ Matthew 11:10; ⇒ Luke 7:27. 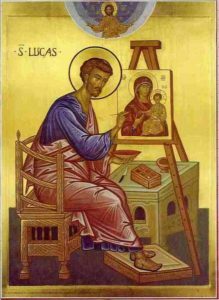 John’s ministry is seen as God’s prelude to the saving mission of his Son. The way of the Lord: this prophecy of Deutero-Isaiah concerning the end of the Babylonian exile is here applied to the coming of Jesus; John the Baptist is to prepare the way for him. 4  Clothed in camel’s hair . . . waist: the Baptist’s garb recalls that of Elijah in ⇒ 2 Kings 1:8. Jesus speaks of the Baptist as Elijah who has already come (⇒ Mark 9:11-13; ⇒ Matthew 17:10-12; cf ⇒ Malachi 3:23-24; ⇒ Luke 1:17). 5 [8-9] Through the life-giving baptism with the holy Spirit (⇒ Mark 1:8), Jesus will create a new people of God. But first he identifies himself with the people of Israel in submitting to John’s baptism of repentance and in bearing on their behalf the burden of God’s decisive judgment (⇒ Mark 1:9; cf ⇒ Mark 1:4). As in the desert of Sinai, so here in the wilderness of Judea, Israel’s sonship with God is to be renewed. 6 [10-11] He saw the heavens . . . and the Spirit . . . upon him: indicating divine intervention in fulfillment of promise. Here the descent of the Spirit on Jesus is meant, anointing him for his ministry; cf ⇒ Isaiah 11:2; ⇒ 42:1; ⇒ 61:1; ⇒ 63:9. A voice . . . with you I am well pleased: God’s acknowledgment of Jesus as his unique Son, the object of his love. His approval of Jesus is the assurance that Jesus will fulfill his messianic mission of salvation. 7 [12-13] The same Spirit who descended on Jesus in his baptism now drives him into the desert for forty days. The result is radical confrontation and temptation by Satan who attempts to frustrate the work of God. The presence of wild beasts may indicate the horror and danger of the desert regarded as the abode of demons or may reflect the paradise motif of harmony among all creatures; cf ⇒ Isaiah 11:6-9. The presence of ministering angels to sustain Jesus recalls the angel who guided the Israelites in the desert in the first Exodus (⇒ Exodus 14:19; ⇒ 23:20) and the angel who supplied nourishment to Elijah in the wilderness (⇒ 1 Kings 19:5-7). The combined forces of good and evil were present to Jesus in the desert. His sustained obedience brings forth the new Israel of God there where Israel’s rebellion had brought death and alienation. 8 [14-15] After John had been arrested: in the plan of God, Jesus was not to proclaim the good news of salvation prior to the termination of the Baptist’s active mission. Galilee: in the Marcan account, scene of the major part of Jesus’ public ministry before his arrest and condemnation. The gospel of God: not only the good news from God but about God at work in Jesus Christ. This is the time of fulfillment: i.e., of God’s promises. The kingdom of God . . . repent: see the note on ⇒ Matthew 3:2. 9 [16-20] These verses narrate the call of the first Disciples. See the notes on ⇒ Matthew 4:18-22 and ⇒ Matthew 4:20. 10 [21-45] The account of a single day’s ministry of Jesus on a sabbath in and outside the synagogue of Capernaum (⇒ Mark 1:21-31) combines teaching and miracles of exorcism and healing. Mention is not made of the content of the teaching but of the effect of astonishment and alarm on the people. Jesus’ teaching with authority, making an absolute claim on the hearer, was in the best tradition of the ancient prophets, not of the scribes. The narrative continues with events that evening (⇒ Mark 1:32-34; see the notes on ⇒ Matthew 8:14-17) and the next day (⇒ Mark 1:35-39). The cleansing in ⇒ Mark 1:40-45 stands as an isolated story. 11  An unclean spirit: so called because of the spirit’s resistance to the holiness of God. The spirit knows and fears the power of Jesus to destroy his influence; cf ⇒ Mark 1:32, ⇒ 34; ⇒ 3:11; ⇒ 6:13. 12 [24-25] The Holy One of God: not a confession but an attempt to ward off Jesus’ power, reflecting the notion that use of the precise name of an opposing spirit would guarantee mastery over him. Jesus silenced the cry of the unclean spirit and drove him out of the man. 13  What have you to do with us? : see the note on ⇒ John 2:4. 14  A leper: for the various forms of skin disease, see ⇒ Lev 13:1-50 and the note on ⇒ Lev 13:2-4. There are only two instances in the Old Testament in which God is shown to have cured a leper (⇒ Numbers 12:10-15; ⇒ 2 Kings 5:1-14). The law of Moses provided for the ritual purification of a leper. In curing the leper, Jesus assumes that the priests will reinstate the cured man into the religious community. See also the note on ⇒ Luke 5:14. 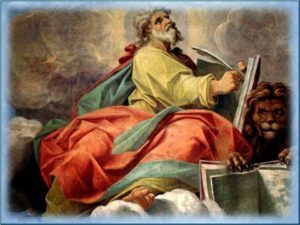 Questo articolo è stato pubblicato in BIBBIA - NUOVO TESTAMENTO - Sacra - Novum Testamentum - BIBLE - NEW TESTAMENT, MARK, ÍNDICES - TABLAS, THE BIBLE - LA BIBBIA - LA BIBLIA -A BÍBLIA - 圣经 - 聖書 - BIBLIA . Bookmark permalink .